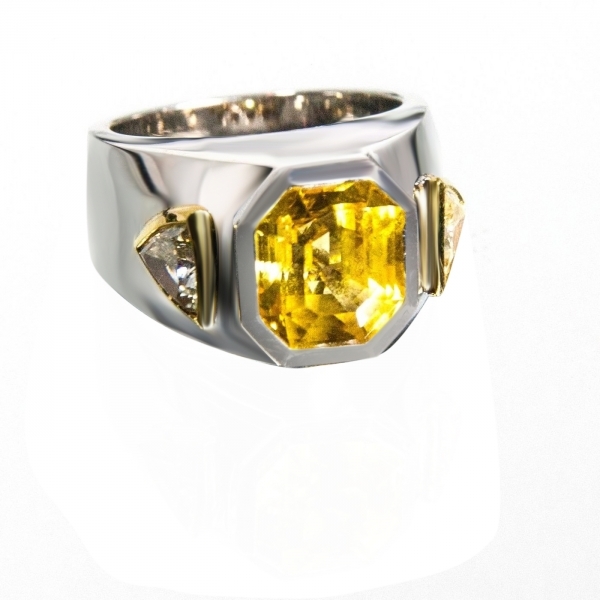 Men's 10.10 ct Unheated Yellow Sapphire + 18K Gold Ring, 1.36 ct Diamond side stones. One New Unheated Yellow Sapphire weighing 10.10 carats set in 18 Karat Gold. 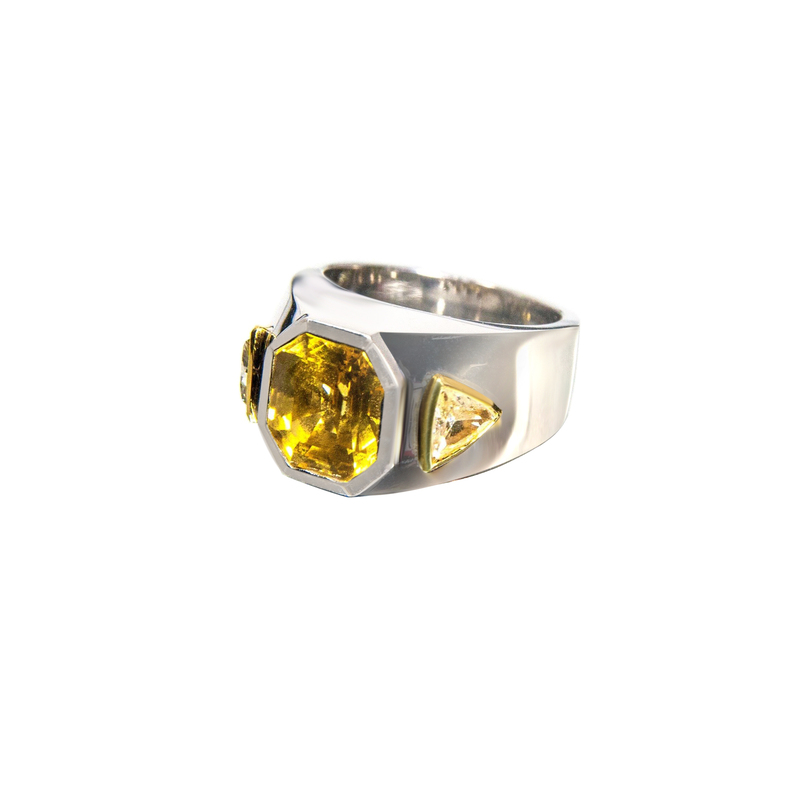 This men's ring also features 1.36 carats of fancy light yellow trillion diamond side stones. 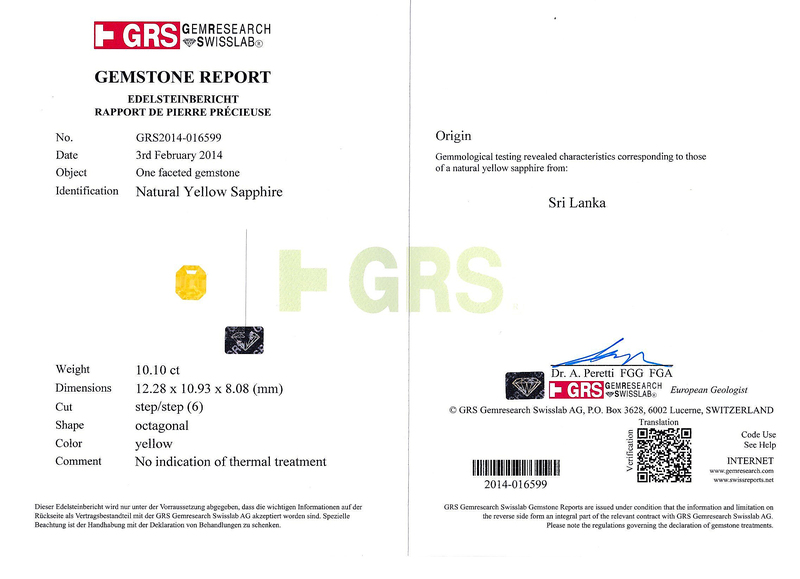 This item come with a GRS certificate.